NEW DESIGN Made of High-Quality Aircraft Grade Aluminium Metal. Fits Perfectly with iPhone 6/6S Plus (5.5) Only. 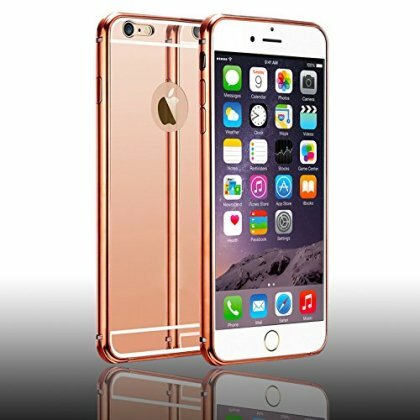 Metal Frame Bumper + Acrylic Plastic Back (Two in One). Precisely Cut openings to allow easy access to all functions. The case made of PC material will not block the signal & it can always keep the signal full grid.